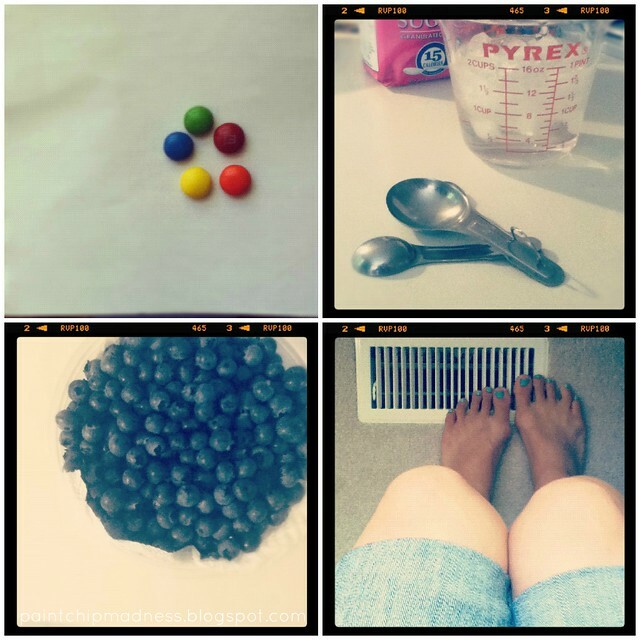 rainbow m&m's // baking // berries // flip-flop tan. Like always, here are the highs + lows from the week plus a few links to love! Getting + recovering from a summertime cold. They're my least favorite. Thankfully, sleep helps a lot. These super pretty glittery jars should be my next project, right? Ramming my knee into the corner of the coffee table. It's still sore + I know a bruise is yet to come. I know, I know. I'm a klutz. And an over-sharer. Party planning! Why must they be so much fun to plan? Don't worry, party photos will be a coming later next week (or the week following). Discovering these two new blogs. I love new reads. Speaking of which, I'm always looking for new blogs to read. Got any great ones?